The shoulder allows for a wide range of motion in your upper arm from throwing a ball to stretching your back. This mobility has its price due to the fact that with increased motion comes instability or impingement of soft tissue or bony structures of the shoulder. When this instability and impingement begins this usually results in some form of shoulder pain. The pain may be temporary or it may continue and require further evaluation and treatment. Bursitis is inflammation of the small fluid filled sacs located throughout the joint body. These act as cushions between bones and overlying soft tissues. Repetitive motion or repeated injury can cause inflammation of these tissues. Tendonitis is a cord that connects muscle to bone. Most tendonitis is a result of inflammation of the tendon due to excessive repetitive overhead activities or a chronic degenerative disease, such as arthritis, or repetitive wear and tear. Shoulder impingement occurs on top of the shoulder blade and puts pressure on the underlying soft tissues when the arm is lifted away from the body. This shoulder impingement can lead to bursitis and/or tendonitis which causes pain and limiting movement of the joint. Instability of the shoulder occurs when the upper arm bone is forced out of the shoulder socket. This can happen as a result of a sudden injury such as a sports injury. Dislocations can be partial or full. Once the ligaments and tendons around the shoulder joint become torn or loose the dislocations can happen on a repetitive basis. These reoccurring dislocations can cause pain and unsteadiness when you move your arm away from your body. 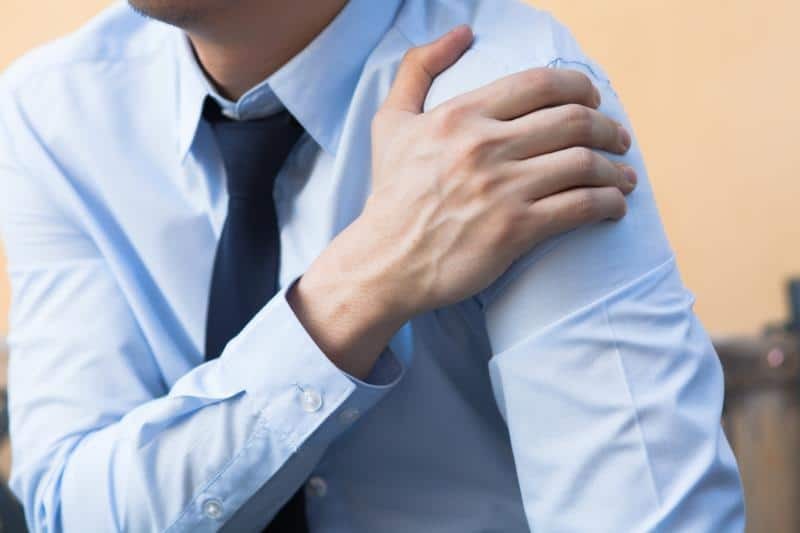 Here at Kenwood Chiropractic our doctors will take a full medical history and do a physical examination of the shoulder to look for any physical abnormalities, deformities, swelling, or muscle weakness. They will observe your shoulder range of motion and perform a few orthopedic tests. If it is a soft tissue injury that would benefit from conservative care our doctors will outline which type of care would be best for you.